I found the better my attitude and positive thinking was the easier it was to find the UMPH ! Great saying Marilyn !!! Here in NH we are getting a little bit of Harvey and for the first time this summer (it still is summer isn't it ? ) we really do need the rain here ! I think Harvey is headed your way next Marilyn hard to believe "he" has any rain left ! We had about an inch from him yesterday - but we have been deluged the last month or so with cool temps, too. But - I'm not smoking over the rain OR the temps, happy in my umph! Yippers it's still Summer even though it feels like late Fall but I think next week is supposed to warm up some but we do need the rain here too it's just starting to rain here at 9 pm and it's supposed to rain all night which is great, we've been in a drought. BonnieBee.quit.2.8.15 , I also found the more positive my attitude in the early wks of my quit the easier the days seem to be. Hoggie is my umph! I have to get up to feed him by 3am or he'll yowl my ear off. Do you ever sleep Dale? Each evening I am thankful, and triumphant on being strong and smoke free! each evening, I melt into my bed for 6 hours. 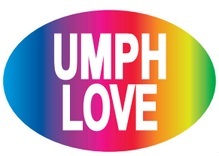 I love the umph I have. Great to see and "feel" this blog. I am happy you posted it. Huge hug Showiestodin , I really liked this too. Love the poster! Thanks Marilyn! Hope your Sunday has been a great one! Thanks Kathy, it's been a pretty good Sunday, I hope yours has been too.